Among the 150 pages of the “latest New York styles” for women and children is one page of outfits suitable for women who ventured outdoors in a motorcar. 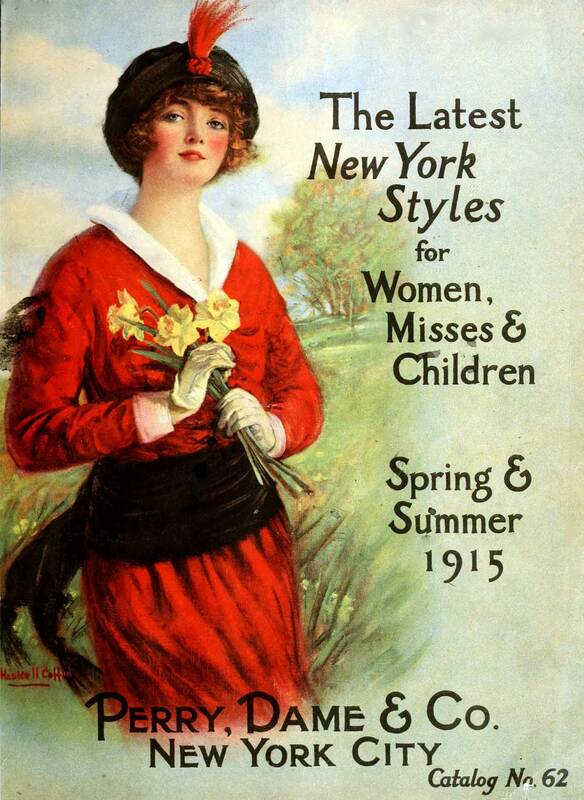 Looks like they would be hot in summer, but then so does all Edwardian fashion. The style was known as a “duster”, as it evolved from cowboy garb when horseback rides would throw up dust. 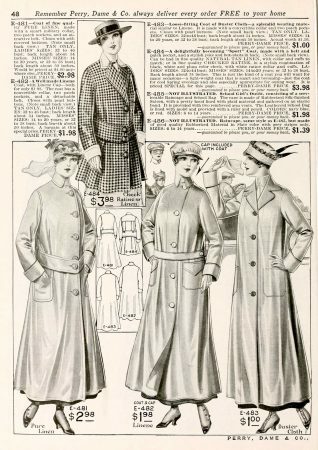 Early roads did the same to early open-aired motorcars, so full-length overcoats with caps and googles became practical travelling clothes that protected the rest of your outfit. In fact, for awhile, motoring clothes were worn even when not driving as a symbol of affluence and style. Looking like one had just stepped off an automobile became something of a fad. Perhaps the lady in the feathered hat is trying to flag down the motorcar being driven by a bloke in a flat cap using her handkerchief.